Three men crouched down in front of three shelters, making a fire. The man in the middle is Turkey Hughes and the caption on the back of the photograph says "Camp Offertt." “Three men crouched down in front of three shelters, making a fire. 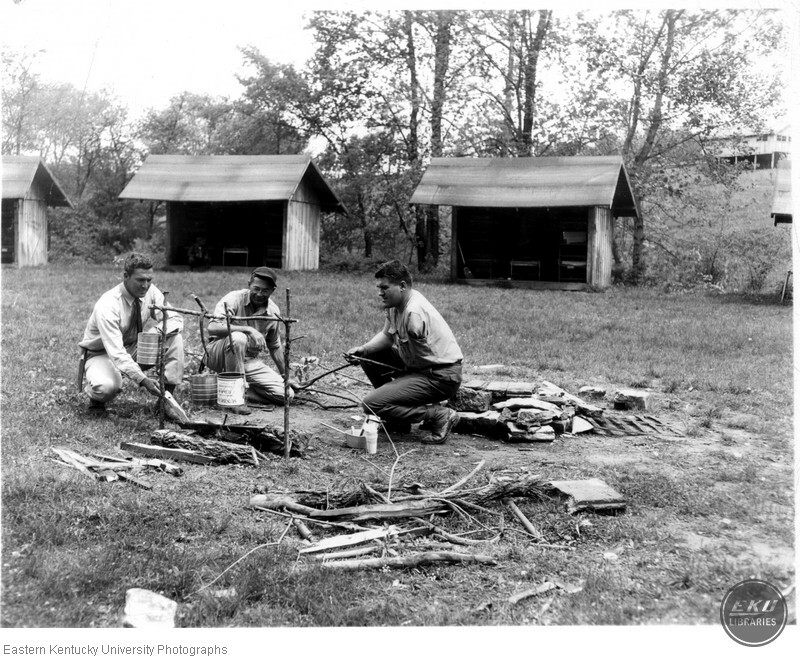 ,” Digital Collections, accessed April 19, 2019, https://digitalcollections.eku.edu/items/show/33403.